Explanation: A race is underway to understand our universe through background radiation produced during its infancy. 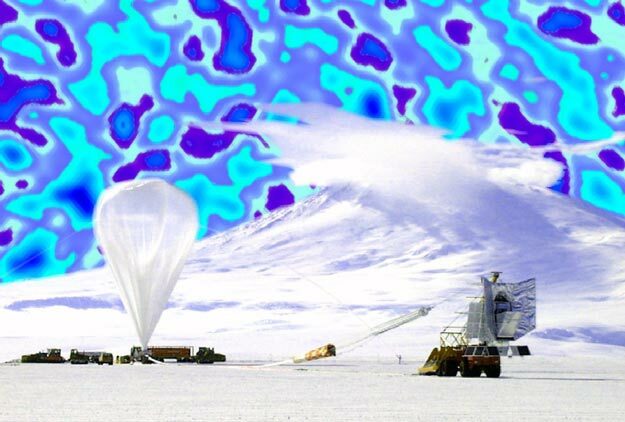 Observationally, increasingly accurate balloon experiments are pressing to beat future space-faring satellites to definitive measurements of universe-determining spot characteristics of the cosmic microwave background (CMB) radiation. The BOOMERANG balloon mission, depicted above, reported its new results only two weeks ago, and the MAXIMA group is reporting new results even today. Cosmology theorists are submitting a flurry of papers in an effort to explain the latest results. 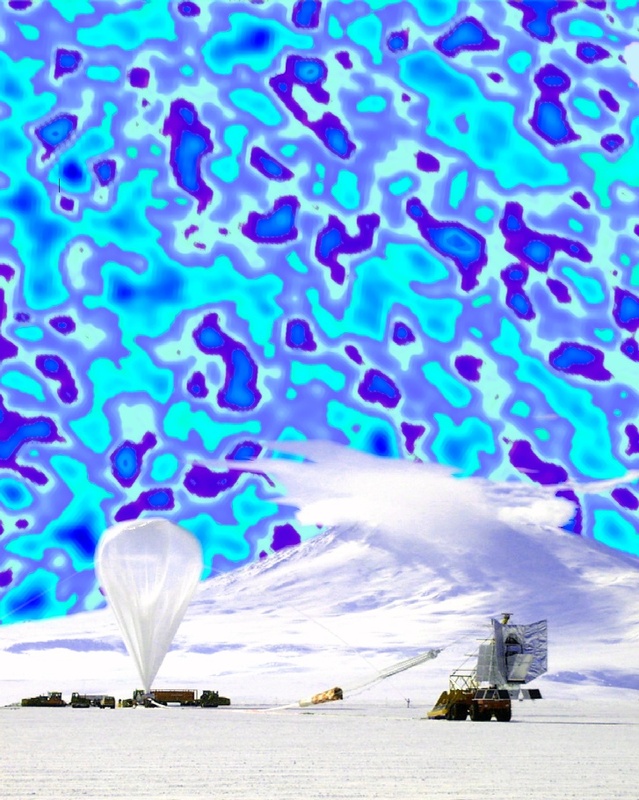 These balloon CMB measurements appear to imply a universe consistent geometrically with familiar Euclidean axioms, but perhaps complex in unforeseen ways. Later this year NASA plans to launch the MAP satellite that will study the CMB in greater detail and may determine the geometry of composition of our universe definitively. So stay tuned -- one of the greatest races of modern science is sure to continue.